It’s Christmas and I’m super PUMPED! I love this time of year, but there’s also a lot of stress that can come with it. Some type of family drama is almost always a certainty; there’s your cousin’s kids who never obey and turn your house into a hell hole; and let’s not forget the creepy uncle that makes everyone uncomfortable. You need something to help you power through and get your day going. 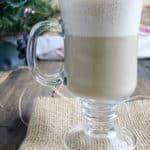 Well, here it is: Christmas Morning Cashew Coffee! And super simple to make! Rich, creamy and absolutely delicious. 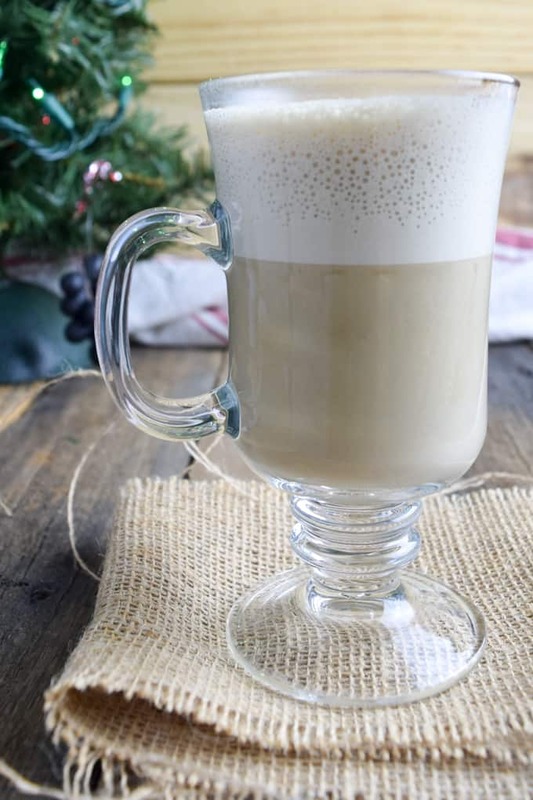 Cashews add the creaminess while vanilla and maple syrup help to make this one of the best latte’s you’ve ever had. Put all ingredients in a blender and process for about a minute, or until coffee is completely smooth. This recipe sounds yummy! My question is the cashews…when you say “raw” does that mean not roasted? Thanks! Yes. Not roasted or salted. Unbelievable! So creamy and rich.